CreditRepair.com presents itself to consumers as the credit pros with a unique twist. The firm, which has been in business for over twenty years, not only identifies negative credit items and disputes them with credit bureaus but wants to make a difference in its clients’ credit habits. They want their clients credit scores to rise and remain high. It's a more sustainable approach. The company is viewed as the credit pros since they have been repairing consumer credit for over twenty years. They are 100% committed to improving its clients’ credit ratings and their chances for credit access and financial success. CreditRepair.com uses a website interface that contains some impressive client-friendly features, including visibility into the firm’s efforts and results. In a hat tip to the shift to mobile technology, its site allows downloads to tablets and smartphones. Therefore, allowing you to monitor the firm’s progress in persuading the credit bureaus to withdraw negative credit items. After signing up and arranging for the firm to pull your credit reports, CreditRepair.com will ask you to identify items to be challenged. The company then goes a step further: they help you improve your credit behavior. Down the line, this helps increase your credit score by having fewer negative items in the future. 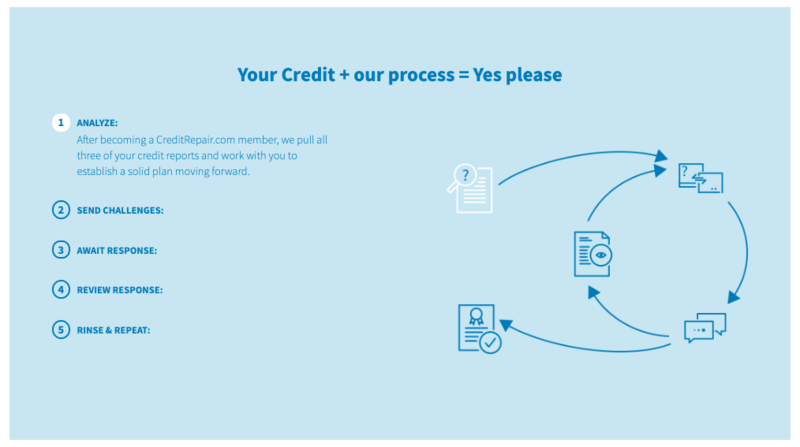 CreditRepair.com relies on a three-step “game plan” that they establish for each client, designed for checking, challenging, and changing the client’s credit report. This 3-step process that they use makes for a process that is both easy to understand and efficient. 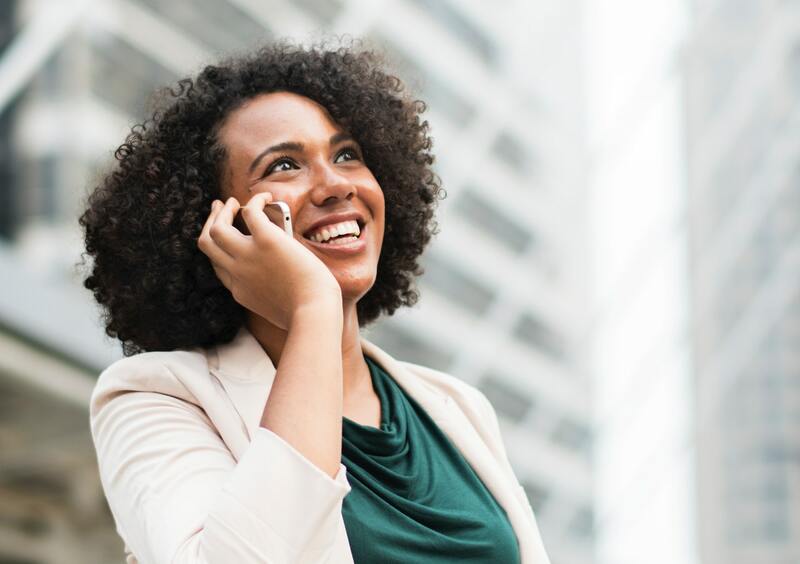 Customers feel confident because they have a clear understanding of how CreditRepair.com will help them get their credit back on track. Aside from their straightforward process of credit repair, they also want to make sure you are armed with all the credit education possible. They offer a comprehensive education section that contains articles about everything from improving your credit to identity theft. Accessing these articles will definitely help members and potential members develop a better understanding of how to improve their financial health. All of these can permit clients to pursue the lifestyle they desire. CreditRepair.com publishes the numbers on how they’ve helped clients. We at CreditMarvel therefore give the firm good marks for transparency on this issue. On average, its clients witness the removal of seven percent of their negative credit items per month. The firm’s numbers show that this holds true for the first three-month period of service, for a 21 percent removal average. CreditRepair.com's reputable profile and long history as the credit pros also offer you the benefit of knowing that you are working with a solid company. The credit repair industry has attracted some less-than-reputable players over the years. Clients of CreditRepair.com will benefit from the assurance that they are not working with a firm that may not be in business next month. Or, that has drawn the interest of the Federal Trade Commission (FTC). CreditRepair.com is powered by TransUnion monitoring and partners with established financial partners Bankrate.com, Credit Karma, LendingTree, and Mint.com. When it comes to pricing, CreditRepair.com charges no set-up fee and only a one-time $14.99 credit reporting fee. Their monthly charge, however, is $99.95 per month. There is no premium service or related premium charge. While CreditRepair.com doesn't offer any service guarantees, we view this as a positive sign. As CreditMarvel likes to remind readers, guarantees only come into play when a company’s service was unsatisfactory in the first place. With regards to speed of service, the company asserts that within four months of enrollment, the firm will be able to remove over 40% of negative items from a client’s credit history. CreditMarvel characterizes this performance as in the average-to-good range. Is Credit Repair a Safe Path? Without context, you might wonder if credit repair is risky — or even legal. The answer? No financial decisions are without risk, but credit repair is certainly a viable and legal option. In 1970, the U.S. Federal Government passed the Fair Credit Reporting Act (FCRA) to make the collection of credit information and access to personal credit histories more equitable and transparent. The specific goal of the FCRA is to make sure that the data contained in credit reporting agencies' files is fair and accurate. Credit repair companies like CreditRepair.com, Sky Blue Credit, and Lexington Law have emerged as the credit pros that help individuals who might not be familiar with the details of the FCRA, ensure that their data is correct. Loan applications - When you apply for a new loan, lenders are turning to your credit to determine your whether you would be a risk to lend to. When you have poor credit, your borrowing power is greatly reduced because of the risk you present to the lender. In today's economy, auto and mortgage lenders are beefing up their restrictions when it comes to generating new loans. They are requiring a larger down payment and higher credit scores. Poor credit spells trouble for loan attainment. Interest rates - Interest rates are directly impacted by your credit score. If your credit report consists of collections, late payments or worse, bankruptcy, you can expect higher interest rates. As you improve your credit score, so will your chances of seeing more favorable interest rates. Insurance premiums - Insurance is all about mitigating risk, so a positive credit report yields better rates. On the flip side, a low credit score is viewed as high risk and the rates you receive will reflect that. Employment opportunities - Nowadays, employers are doing credit checks for anyone they are considering hiring. With the job market being as competitive as it is, employers are using this as an indicator of one's level of responsibility. A low credit score signals to the employer that they are dealing with someone who is reckless and disorganized. Savings - When you have good credit, you get better rates and terms. This all spells more money in your pocket that you can put towards that important emergency fund, retirement, college education and more. In conclusion, this firm has a long, established record in the credit repair business as the credit pros. It has a solid customer base, and maintains a highly client-friendly web portal with mobile access. A significant drawback for this firm, however, is the high price of its services. While they average a 21% negative item removal rate which is good, other firms have reported higher percentages. Overall, CreditMarvel views CreditRepair.com as a solid provider of credit repair services. However, clients will simply need to decide for themselves if they are worth the extra cost. I’ve never really had bad credit or credit issues, but I’m always looking for ways to improve or maintain my score. I gave the experts at creditrepair.com a call, and they were able to give me tons of tips and advice. They told me that there is a particular sequence that I should pay off my cards in order to earn the largest benefit. They also set me up with a pay off schedule. Having a printed visual on my fridge encourages me to pay things off in order, and also to follow the schedule they provided. 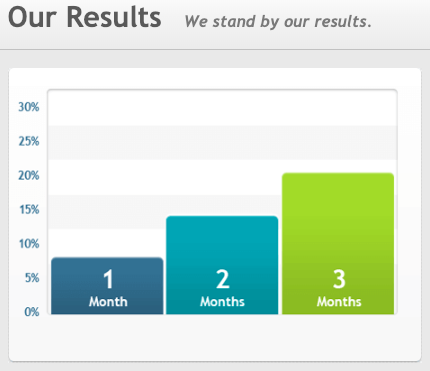 Thanks to creditrepair.com, my credit has jumped 8 points! I need to repair my cibil score so can u help us.